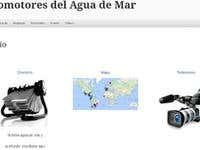 I built and maintain http://delfinianos.wordpress.com as an entry and promotional site to include an interactive directory, a world map, and short YouTube testimonies. Later enhanced to include other developments on additional pages, like PayPal options, trade information, short video-interviews, current events, and tutorial videos. Ready to apply my 25+ years of Software Development and Programmer Analyst experience while learning new technologies and continue my education.